Children need healthy meals to learn. The School District of Prairie Farm offers healthy meals every school day and now during the summer months. The health and safety of all Prairie Farm students is our number one priority. As a district, we continue to look for ways to help our families. Free and reduced breakfast/lunches percentages based on income is a way that both our families and the district can benefit. Our focus is to help our families reduce their monthly meal expenses if they qualify by filling out the free and reduced application. Additionally, the district benefits in many ways with a higher free and reduced population. This can be in the form of fiscal aid and also in the form of grant eligibility. Our free and reduced status has fluctuated in recent years from 30% to 50%. There are many reasons for this fluctuation but again our goal is to help each family to the best of our ability. If you are not sure about your status, please fill out the application and return it to the school so we can help determine if you qualify. Please note that your application is only seen by two individuals (Superintendent and Executive Assistant). I can assure you that your information is and always will be confidential. As stated, the higher percentage of our free and reduced status, the more benefits our district receives. Please note that when family situations change such as employment, income, or household sizes please fill out an application to see if this process can reduce your monthly meal expenses. As a district, we are here to help! Breakfast costs are $.85/day (Pre-Kindergarten to Grade 5) and $1.10/day (Grades 6 to 12). 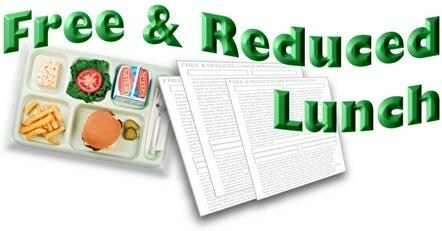 Lunch costs $2.60/day (Pre-Kindergarten to Grade 5) and $2.80/day (Grades 6 to 12). Your children may qualify for free meals, reduced price meals or free milk under the Wisconsin School Day Milk Program. Reduced price is $.30 for breakfast and $.40 for lunch. Please do not hesitate to contact me if you have any questions.